DESCRIPTION: The publisher is an internationally respected authority on maritime matters. This latest edition of the book has been updated and covers the range of key responsibilities placed on harbour masters around the world for ports large and small. Traditionally, harbour masters and marine superintendents have previously gained experience as captains at sea. For master mariners, these posts provide shore-based employment as an alternative to retirement and some have continued on their marine experience ashore to an age far beyond the age of retirement common in their countries. The merits of employing experienced masters as harbour masters has been based on the fact that they have docked in a wide variety of ports, often around the world, but sometimes with a narrower geographic experience. They have therefore seen the port from the side of the user and understand the challenges that may face a captain in making port, discharging cargoes and loading the next cargo, seeking repairs and storing ship. In view of this background, a harbour master rarely received any specific training in the new shore job. As port activities have become more complex, risks have increased, and the harbour master has been involved in expanded port management, there is a strong case for taking a professional approach to the engagement and training of harbour masters who are now more likely not to have served at sea as captains or have served as naval officers rather than as merchant marine officers. There is also a very strong case for establishing, as this book has done, the role and duties of a harbour master in a manual that can be used by both harbour masters, or prospective harbour masters, and by those who use ports or work in them in some other capacity. In addition to the processes of bringing ships into port, berthing them, seeing cargoes unloaded and stores and bunker services provided, loading new cargoes and seeing the vessels undocked and safely back to sea, a harbour master has to manage risk in what is a potentially hazardous environment. 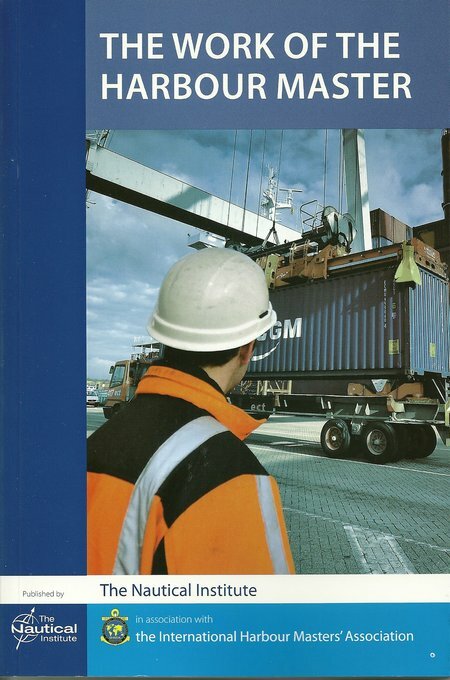 This book has explained these duties and links to other job holders in a port environment very clearly and in a manner that an be understood as easily by a complete novice or an experienced harbour master. Of course one challenge in writing this type of book is that ports vary enormously in size, complexity and risk. Not all ports are located on the coast, but all are potentially points of entry into a country, therefore producing risks and concerns in immigration, emigration, the entry or shipping of products that may be prohibited or subject to duties. The port may contain bonded warehouses and both warehouses and ships may be attractive to criminals intent on theft or smuggling. There are many physical dangers and injuries are not uncommon. This can apply even to a very small and ancient port that may be administered by a local authority, normally serving only private leisure vessels or small fishing boats and staffed by a harbour master who has no assistants and is not constantly available. To a major international port, everything applies in greater volume. During the last four decades, larger ports have introduced automation to handle larger traffic volumes with fewer staff. This will involve computer control of containers and other cargo packaging systems, the computer controlled management of rail cars and trucks arriving to load or unload materials. The harbour master is also much more likely to spend much of his time in a port control facility that is much more like an airport control tower than a small office with a good view of the harbour entrance. Where a harbour master once only had to worry about ship movements and associated issues, the modern harbour master has to appreciate the handling of news media and the presentation of the port’s image. As we move forward, larger ports may become heavily automated with vessels approaching and leaving under computer and sensor control. The vessels will also carry much smaller crews as automation requires the crew to supervise an automated suite of operations. In covering current and future requirements for harbour masters, the publishers have done a very effective job and this book will become an important addition to the libraries of harbour masters, ship owners, seamen, port workers and all those who are touched by, or interested in, the important role a port plays in any society in any age.